The Link B7 is built for exploring. It folds down small in 10 seconds, so you can bring it with you anywhere—on the subway, in your car, or even store it indoors at night. 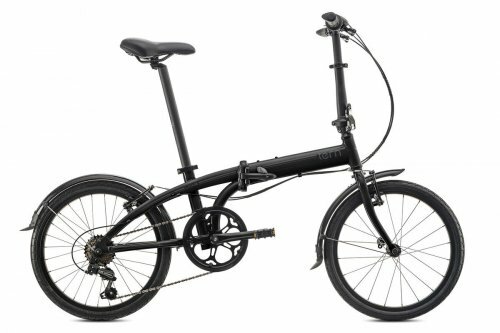 With 7-speed gearing, eyelets for rear racks, and a height-adjustable telescopic handlepost, it packs a ton of versatility. Ride one and discover the convenience of a Tern bike. Eyelets for adding rear racks.